Pinterest. It's the best thing since sliced bread. OK, lies. It's better than sliced bread. On Pinterest you virtually" pin" pictures associated with links to the best ideas and products in every corner of the web. You can find great new sites, organize them on your pin boards, and share your own products across a platform driven by a female audience (the buyers of the world!). Sounds pretty perfect, right? Now, you just have to learn how to get the most out of this site. 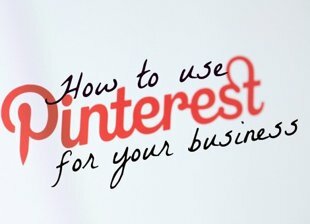 How can you use Pinterest to your advantage? Consider this Pinterest 101. Find great people and brands to follow. Link up your account to Facebook or Twitter, and Pinterest will have some suggestions for who you should follow based on your other social-media habits. From there, find other pinners who have similar interests for great ideas. At the top of your homepage, check out the categories under "Everything" to find a mishmash of ideas and links floating around Pinterest at any given moment. In your feed, if a friend repins a link to a site with a great idea, trail the person or brand that initially pinned it. From there you can find cool folks to follow, or even individual boards so you don't clog your stream with too much information. Organizational skills. Clearly label your boards. While it may be fun to name them hilarious things like "my brother smells," other pinners who stumble upon your content need to easily see what you, or your brand, is all about. They're more likely to follow you if your board is labeled "Style Inspiration" or "Runway" rather than "Cool Stuff" and "Awesomeness." …See what I mean? That could mean anything. Get repins, get followers. The best ways to nab followers? Put a button on your blog to show visitors you're on Pinterest. Repin the best links. Seasonal items are always favorites (because everyone wants flat-ab workouts to look fab in their cute, new swimsuits, and we all need easy Super Bowl recipe ideas). Pin blazing-hot topics: the ones with lots of likes and comments are a good place to start. Try to think about what other people would find relevant and repin. SEO, baby. Use keywords in the names of your boards and the items you pin to make your content SEO-rich and pick up more followers. Pinning a yellow-blazer-and-skinnies look to your "Style" board? Make sure to caption the pin with words like "blazer," "style," "jeans," and "denim" so Pinterest will pick your pin up in the search results. Avoid spam. As Pinterest continues to expand, so does the number of spammers invading feeds and creating boards. This is how they work their ugly magic: They'll pin a cool photo, and link to a completely unrelated website in efforts to grab your attention or information. Don't fall for it! Pinterest has no ads, and does not support giveaways, so if the pin promises free Coldstone ice cream or a trip to Vegas, don't click. Never give out login information. And if you do click on a link that turns out to be spam, just backtrack to Pinterest and report the spammer. For more details on nixing these spammers, check out Pinterest's note on fighting spam. Simplify. Great photography. Streamlined boards. Easy-to-understand pins. Keep it simple, keep it straightforward, and don't get overly fancy. The best pins are eye-catching and recognizable, so pin images and links that your followers don't have to wonder about or look into. The best pinners make the process fun by making it simple. Use "Like" as a placeholder. This tip comes from Blogging with Amy, and it's a good one! Your followers probably won't appreciate you flooding their streams with pin after pin. They can only look at so much at once, yes? So before pinning yet another link about pastel pants, "Like" it instead. It will be filed there, instead of on a board, and won't pop up for your followers to see. You can go back later and reassess to see if it's actually worth pinning. Price-tag it. If you're selling products, or just come across a great find, and want to add an item to Pinterest for your followers to check out (and share, too! ), add a price banner to the corner of the photo. Simply type out the value within the caption, like "Floral top, $59." Great prices will entice buyers, and also allow for potential shoppers to budget your piece onto their "Must-Have" boards. Oh, and want to let another pinner know about whatcha found? Similar to Twitter, you can tag her in a post with @hernamehere. See who's pinning you. Want to know what lovely people are pinning content from your site? Use this nifty trick to keep track: Pinterest.com/source/you.com. (Just stick your site name in there instead of "you.com," - presto.) You may just want to know what's popular on your site, but these pinners may also be shoppers and other folks you want to mingle with. See how easy Pinterest is? And the more you use it, the more you'll learn how to best drive traffic for your business and the more fun you'll have. So dive in already, 'kay?